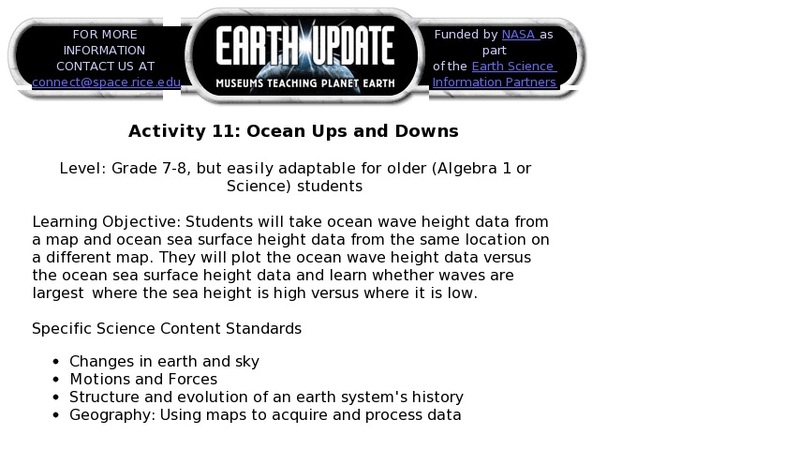 In this lesson students discover that measurements from space can tell us the overall sea level height, as well as the heights of waves. They will select twenty data points at various latitudes, recording ocean and waves heights, and then make a graph of this data. This activity uses a linear equation to quantify the relationship between wave height and sea level.